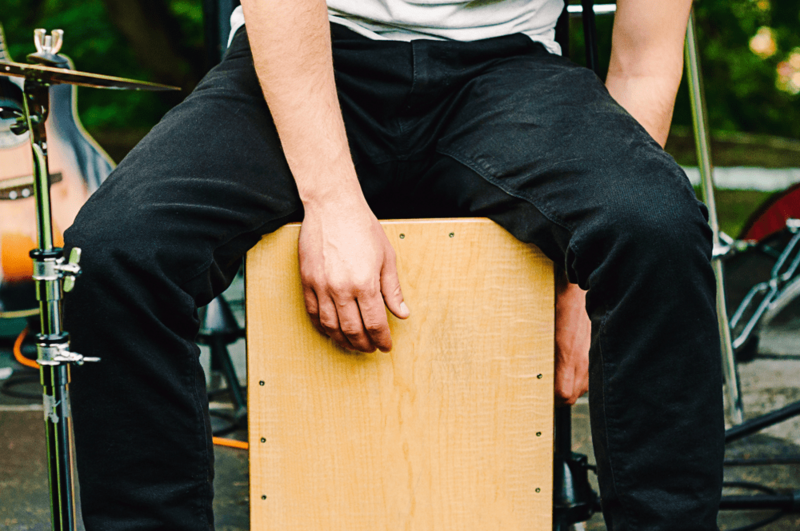 You may have arrived here having done some research and already know quite a bit about the cajon drum but are still unsure about choosing one. However, on the other hand, you may be a newcomer to the instrument and you might have been posing over the question – what is a cajon? [pronounced kahone]. Well, it is a percussion instrument originally from Peru, known to offer superb sound quality, along with being a robust choice, fun to play and being more affordable than purchasing a full-blown drum set. The cajon box drum is a very versatile instrument used with the palm of the hand to beat a rhythm on the front surface, the tapa, by slapping. Expert players can deviate by using the palms of the hands, fingers or brushes and sticks to get different sounds from the cajon. The cajon is compact so it is easy to transport, some coming with carrying bags included in the price, with others you need to purchase separately. There are many brands offered on the market, which can make choosing difficult, but with such a rich market there is a cajon to meet the needs of all budgets, playing styles and experience. 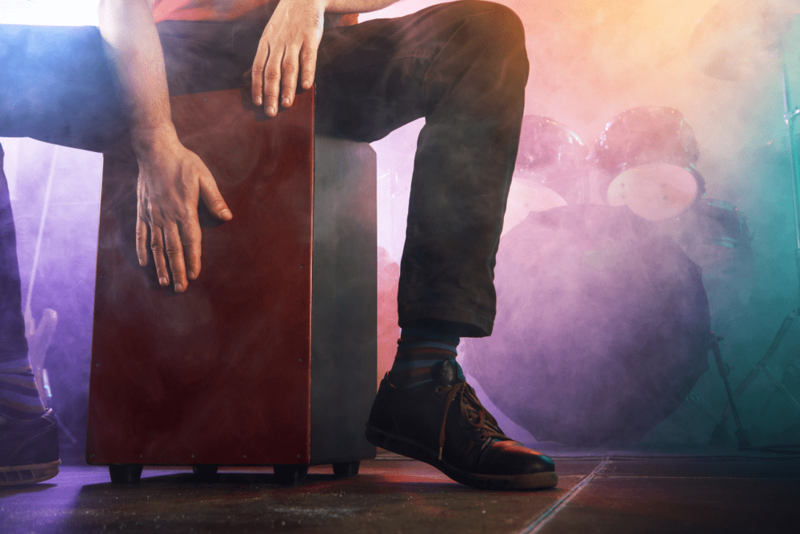 What Makes the Cajon So Popular Among Musicians? 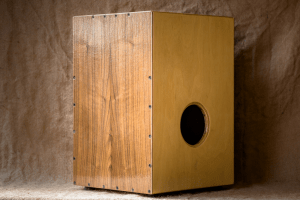 One of the biggest reasons the cajon has become popular is that it is a practical instrument and it can be picked up for a reasonable sum of money when compared to a full-blown drum set. The cajon is easy to learn for all ages, once you learn the basic snare on the cajon, which is played on the upper edge, and the bass in the middle of the box drum, you are well on your way. Whether you are searching for the best cajon for the money, the finest for a beginner or pro or simply the best sounding cajon, there should be something below for all needs. Many people assume that just because the cajon is a box shape it is a simple instrument and they are all the same and produce the same sound. This is not the case and in fact, there are many different factors that go towards the sound produced. 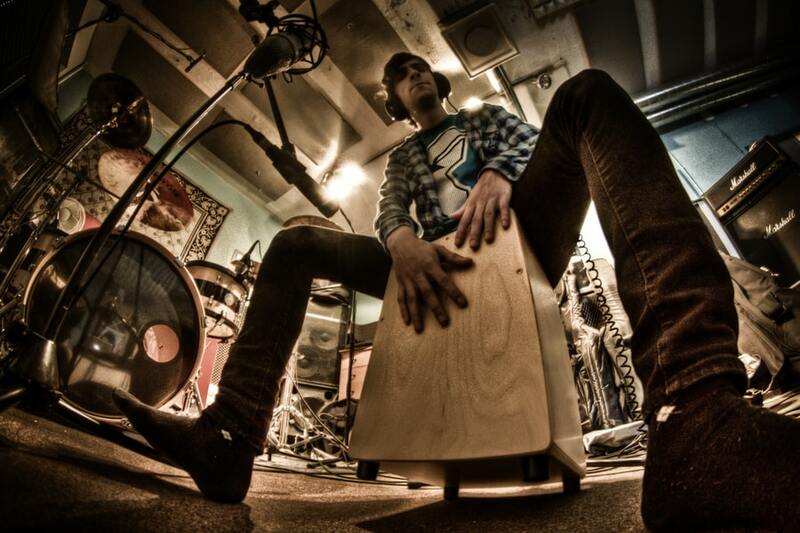 Here are the factors we considered when choosing the top cajon drums for our reviews. The dimensions of the cajon are not only of importance as to your build and whether the box drum would hold you. The size also affects the sound of the cajon and how loud it will play. The sound is also changed by the location of the sound hole and its size, generally placed at the back of the cajon but there are exceptions to this. The construction of the cajon will also change how the box drum sounds and plays with some of the best sounding cajon box drums being made from solid wood such as birch or walnut. When considering purchasing a cajon you also have to factor in how you intend to use the cajon. For instance, will you just be using it at home for fun or to jam with a few friends, do you want the box drum for playing at events or on stage? The cost of the cajon may be one factor you have to consider. If you are new to box drums or you are on a budget you might want to consider a box drum that comes with extras such as carry bag and go for a name that is not so well known in the field of box drums. The Meinl cajon box drum, from Meinl percussion, is of the typical design of a box drum constructed from hardwood making it ideal for the creation of drum set grooves and ideal for use in the studio or playing live. It is a superb choice for those with an interest in rhythm offering bass notes that are punchy with snare sounds that are snappy and all for an affordable price tag. The sound hole is placed in the middle of the drum at the back. What Stands Out About the Meinl Cajon Box Drum? The Meinl cajon box drum is the ideal beginner box drum with an affordable price tag. The tonal quality is superb with help from the sturdy rubber feet which tend to widen the bass notes, enabling you to take your beats up a notch to another level. The playing surface gives a full bass spectrum and is very responsive to finger rolls that are soft while delivering cutting snare snaps. A two-year official warranty is offered by the manufacturer. Who Is the Meinl Cajon Box Drum Suited To? The Meinl cajon box drum is ideally suited to beginners being among the more affordable options. It is also ideal for small theatres and acoustic sets. The Meinl cajon box drum is a great affordable choice for those starting out and is a mid-quality instrument. It is said to offer fantastic sound for the price, it is constructed from hardwood and is of a decent build. The Pyle string cajon boasts internal guitar strings and is a great sized percussion box that has been perfectly handcrafted to offer sound quality that is superb. It offers a smooth sound production helped along by the guitar strings which are easily adjusted at the bottom, with the tool provided. The sound hole is on the back in the middle of the drum, with the looks of the cajon being similar to many other models, a wooden panel box frame. The box drum is provided with a one-year manufacturer warranty. The Pyle string cajon allows musicians to fully show their musical expression offering an original acoustic sound and while being full sized being extremely portable. The cajon is constructed as a panel box frame made from birch wood, not only giving it superb looks but superb sound too. This is a good cajon with four strings at two points, which may be tuned for that classic sizzle as the plate at the front is beaten. Is the Pyle String Cajon Suitable for You? The Pyle string cajon is better suited to novices or those looking to get their first box drum. It is equally suitable for playing in live and studio environments. The Pyle string cajon is a great entry-level instrument that offers excellent value for money for those learning how to use and get the most from this instrument. The guitar strings are adjustable from the bottom and a tool is provided to do so. Some owners have said the strings can produce a rattle sound but this can be avoided with tuning and practice. All-in-all a good choice for starters. The Meinl percussion cajon box drum with internal snares has won the title of being amazon’s choice for those searching for a box drum. The sound port is at the back placed ideally for use with a microphone. This box drum is constructed from baltic birch in europe using only the finest quality materials you would expect from Meinl. Meinl back up the product with a two-year warranty. The Meinl percussion cajon box drum has earned outstanding reviews from owners thanks to its solid construction and outstanding sound quality. It offer bass sounds that are punchy and deep when needed, while finger rolls are responsive. The box drum is adaptable to different playing styles including utilizing the hands, using brushes or sticks or a cajon pedal. The gig bag is a great addition for those who plan on traveling or simply to use for storing your box drum in. Who is the Meinl Percussion Cajon Box Drum Suitable For? The Meinl percussion cajon box drum is suitable for all skills levels. Ideal for use in small theatres, places of worship, acoustic sets, the recording studio, and jamming. The Meinl percussion cajon box drum is a breeze to transport around thanks to the bag supplied with it, which is made from heavy-duty nylon. The structure of the box drum is robust as you would expect from the manufacturer, while the sound is resonant with little force needed to produce loud booms. With only slight adjustments needed it is virtually ready to play out of the box. The snares are positioned superbly to the sides so obtaining variable sounds and rhythms is straightforward by slapping to the sides or the middle. 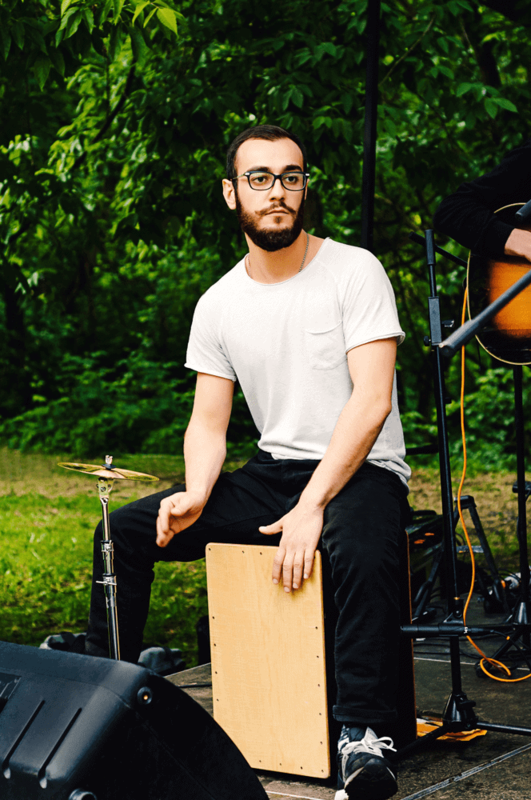 The Pyle stringed jam cajon has been designed to be extremely lightweight and compact, ideal for carrying around and a boost to all singer/songwriters and jammers who wish to try out beats without having to buy a full drum kit. The sound hole is placed in the middle on the back of the cajon to help produce amazing loud sound. With internal guitar strings and anti-vibration by way of solid rubber feet, it offers high-quality clear acoustic sound. What Stands Out About the Pyle Stringed Jam Cajon? Anyone whose main priority when choosing a cajon is traveling might want to consider the Pyle stringed jam cajon as it is one of the lightest we have reviewed, yet this does not detract from its build. It gives out rhythmic sound production that is superb thanks to the perfectly engineered strings which can be easily tuned to your own preference. The instrument is supported by a one-year warranty. Is the Pyle Stringed Jam Cajon Suitable for You? The Pyle stringed jam cajon is perhaps more suited as a first box drum to practice on and is ideal for jamming sessions. It is among the smaller and lighter cajon box drums on the market. The Pyle stringed jam cajon might be most suited to those just getting started in the world of box drums. It is not a box drum for serious musicians due to it not having a great deal of tone differential, perhaps better suited to those just starting out. Tall people should be aware that this is one of the smaller box drums in height and perhaps it should be given the term “mini”. The Meinl jumbo bass subwoofer cajon is a beast of a box drum in looks, as the world “jumbo” in the name might suggest, and this also applies to the sound it offers. As you might expect the body is extra wide and deep for exceptional low notes. It also offers impressive looks and it stands out from the crowd thanks to its walnut casing with large double sound ports placed at the front. This jumbo bass subwoofer cajon is not for the faint at heart. It is designed more for professionals or skilled intermediates, with many fans of the Cajon classing it as the holy grail of cajon box drums. The walnut finish gives it extremely good looks, while its extra width and depth not only give it extreme stability but also its superb deep sound. The unit has internal reflex channels sending bass out through the ports at the front offering a kick drum sound. The Meinl jumbo bass subwoofer drum is suited more to the experienced user in any live situation needing a lot of volume and tone. The Meinl jumbo bass subwoofer cajon is big and bulky, the biggest we have reviewed here, so it is not going to be suitable for everyone. However, if you are searching for something bigger that offers awesome sound this might be the perfect box drum for you. The kick and snare sounds are superb with great low note development, hit the top corners and you get crisp snare drum sounds along with cutting tones. The forward sounding ports may take some getting used to and they do tend to make the cajon look more like a subwoofer but they do a great job. The Sawtooth ST-CJ120B cajon is crafted in birchwood and the manufacturer is among the few brands who have gone all out to ensure this is a box drum that is comfortable to play thanks to the padded seat cushion featured in the design. This box drum may be well worth the price tag as it comes complete with a strong carry bag which also doubles as a cajon cover. The Sawtooth ST-CJ120B represents fantastic value for money for those starting out due to the fact it comes with the carry bag and it provides extra comfort when sat for long periods of time. The cajon features a birchwood front plate offering a tone that is bright, with the plate being adjustable so you can get the sound you want. The box drum is perfect for anyone who wants to learn additional playing styles. See if it is suitable for you? The Sawtooth ST-CJ120B cajon is aimed at beginners and those starting out in the world of box drums. Professionals might want to give this one a miss. The Sawtooth ST-CJ120B looks to be excellent value for money for anyone wanting to give the box drum a try. Some owners have said it could be better made but then it does come with a relatively low price tag when compared to some of the other cajons reviewed here. On saying this, some owners have praised the workmanship for the price. The box drum will offer newcomers an introduction into playing the cajon for a great price and it may be a great choice for learning the skills before moving on. The Latin Percussion LP1428NY is a fixed snare wire cajon with a sound hole located at the back in the middle of the drum box. This box drum is designed to offer a balance of snare slap that stands out and full bass, offering a tone that is on the warm side. It is discreet thanks to its sleek black color which does make it stand out at the side of other Cajons. The Latin Percussion LP1428NY aka the “black box” cajon has quality big bass sounds with distinctive and clear snare and bass tones. It is one of the most popular box drums among the range of Latin Percussion and was the winner of the “Drummies” award from drum magazine. This is an environmentally friendly box drum consisting of a MDF body with a birch and poplar soundboard, which for its size makes it very lightweight and suitable for those who like to travel with their cajon. 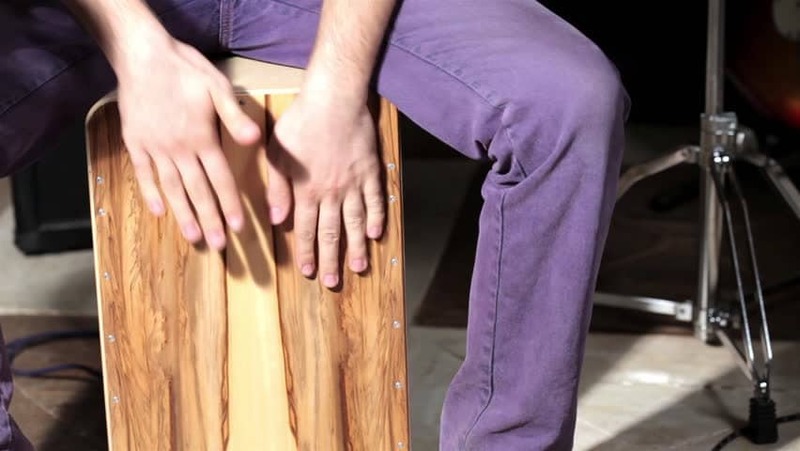 Is the Latin Percussion LP1428NY Cajon Suited to You? The Latin Percussion LP1428NY cajon is a great all-around box drum suitable for all skills levels. With the majority of cajon box drums on the market being made from natural wood the Latin Percussion LP1428NY stands out thanks to its jet black matte color. This is a great choice for those who want something that is different but still wants everything a good cajon offers. The cajon is a great size and weight is kept to a minimum which would make it a superb choice for anyone who travels regularly with their box drum. If you love your snares, this is a great choice, despite the fact they are not adjustable they are powerful. The A Tempo Percussion Dos Voces cajon comes complete with a gig bag and stands out in that it instead of having just a single playing surface it offers two. Incidentally this is why the cajon has the name “dos voces” meaning two voices. Another aspect of the cajon that ensures it stands out from the rest is the sound port, which has been placed on one side of the cajon instead of it being on the back. If you want a cajon that offers more than the typical box drum the A Tempo Percussion Dos Voces cajon from Sol Percussion may be a perfect choice. This is the only cajon that we have reviewed that offers the versatility of two playing surfaces, both offering distinctly different sounds. With the A Tempo Percussion Dos Voces cajon you can enjoy the best of both worlds, one side with a sound that is mellow and warm with pure bass tone and a side offering more aggressive sounds. 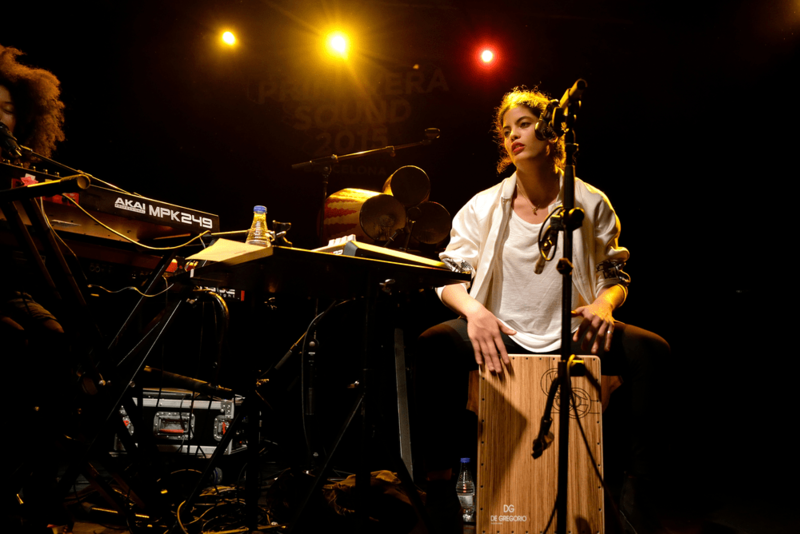 This box drum is perfect for acoustic sets and gigs or flamenco playing. Who is the A Tempo Percussion Dos Voces Cajon Suitable For? The A Tempo Percussion Dos Voces cajon is suitable for professionals, mainly due to the price tag and the fact that it offers two different playing surfaces. The A Tempo Percussion Dos Voces cajon stands out among the crowd due to it having the two playing surfaces offering very different styles of sounds. Both of the playing boards offer a warm but impressive sound. The construction is second to none. Handmade finished with dovetail construction that makes it rise above its competitors. The A Tempo Percussion Dos Voces cajon is a high-quality box drum but be aware that it offers little by way of raspiness on the bass tone before going for it. By now you should have checked out our reviews on some of the best cajon drums on the market and have a better understanding of the manufacturers, price ranges, types and styles of cajon box drums and more. This should have helped you to narrow down your choice of cajon from the many out there. All you now have to do is get your hands on the cajon of your choice and check out some beginner tutorials on getting started in tuning the cajon to your specific tastes, then get playing. 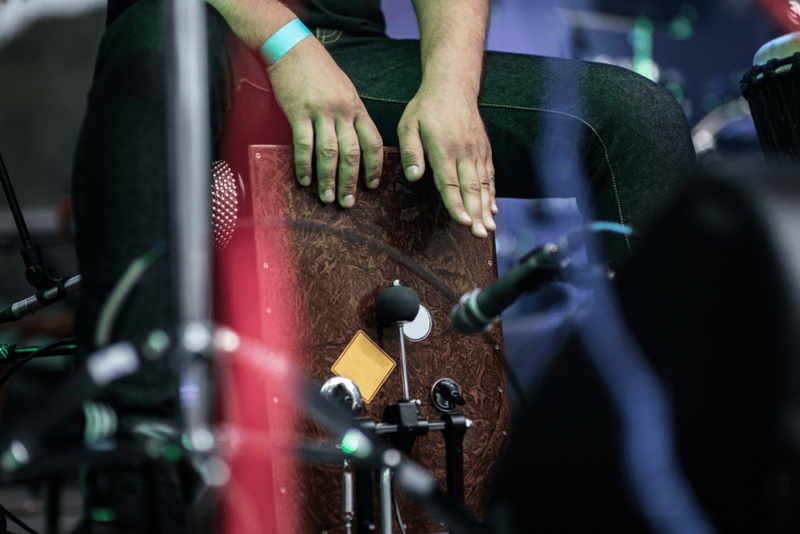 As the cajon is one of the easiest instruments to get into and start playing it won’t be long before you are sitting down banging out rhythms that Mario Cortes himself would be proud of.